Kiyomi Lim's Site. : Food @ Cineleisure with Uptowngirls. Food @ Cineleisure with Uptowngirls. I guess it have been sometime since I last tried to make you all hungry! Hahaha! I remember I used to post so much about food on my blog! Like... almost everyday! & then was the time when I was SUPER FAT! > < ! So after I've decided to slim down I don't post much about food anymore.. But here I am again, blogging about FOOD! 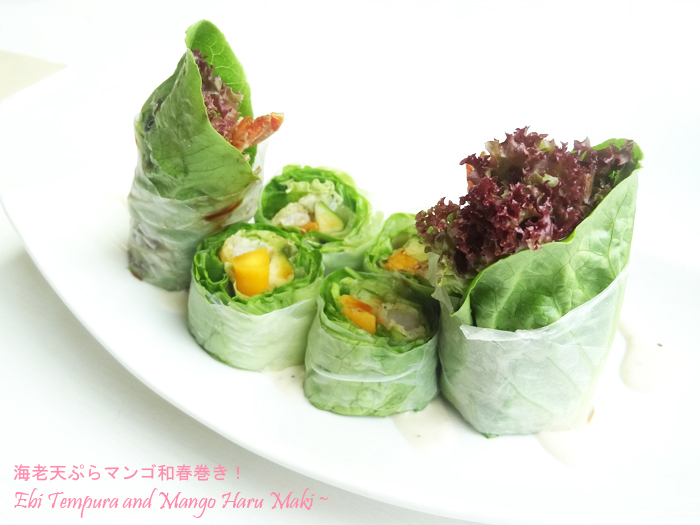 I believe that my readers would be more interested in Japanese style food right? Japanese traditional meal and Westerners inspired meals! They also have super thin and special pizzas! I ordered the Ebi Tempura and Mango Haru Maki! Just looking at it makes you drooooool isn't it~! This is one of their Signature dishes! it gives this really special taste where mango is sweet and tempura is fragrant in a salt-ish manner. The sauce that they have with the hand roll is a good combination too! I like the texture of the roll too! Can you imagine the taste in your mouth now? I think I'm making your mouth feel bland cause you would be craving for this combination right?! & Lastly, I would like to say that I love this dish! 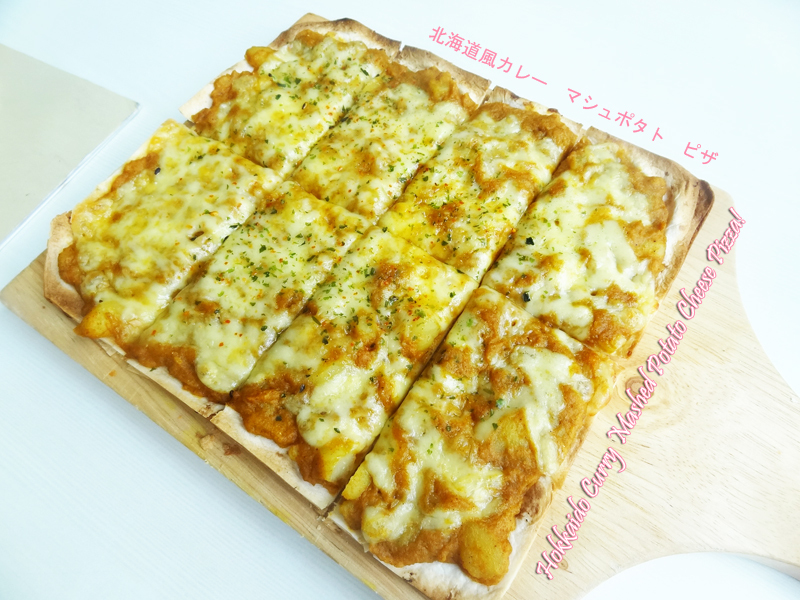 It's the Hokkaido-style Curry Mashed Potato Pizza! The pizza's crust is really crispy just like potato chips! Hahah! I feel that the Hokkaido-style Curry Mashed Potato tastes like Curry Puff's potato! It's a little plain for it's price as there's no other toppings like meat or mushrooms on it! You all can try other flavours from them! I think it will be much better as the rest have other toppings! they "automatically" changed a cup of full warm water for me. They have sauces, chilli pepper, cheese, salt and pepper ready for you! & so peacefully bright in the day. I love where they are located at! 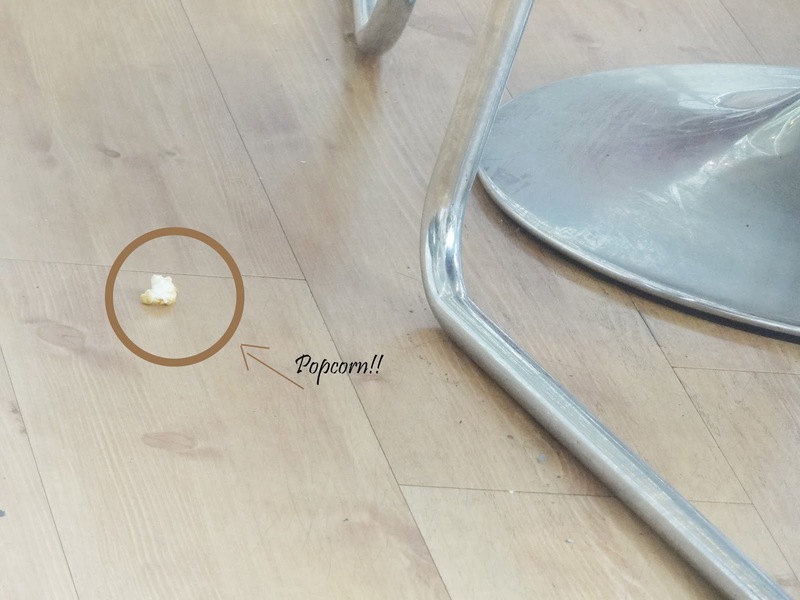 I witnessed a popcorn threw down by inconsiderate teenagers from the above level! perhaps put up a net above or put up some sort of "warning"
to the people above to stop them from doing so. their food is good, service is awesome and ambience is rather awesome! 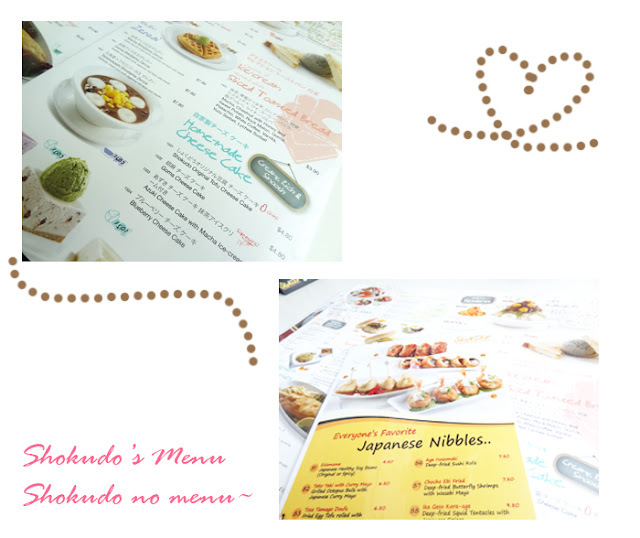 Some of the designs above taken frm Shokudo's website. Sushi is like snacking to me! I don't really like to eat sushi as full meals because I would end up eating lots of rice! So here are some of the items I picked! It's tasty and tastes like sushi! Haha. They are also economically affordable! So if you're going there to snack-off like me, you won't have to choose "buffet" but "ala-carte"
I only spent around SGD7 on my total experience there! but Nihon Mura is so much cheaper!! Will definitely visit again when I just need to snack-off real fast to kill like 20-30mins! *not that it's dirty just not so clean! Lastly~ a bonus review for you all! I had the Chocolate Mint Milk Tea! "Give in to temptation - drink this within 2 hours!" *xo-mmg, I love this phrase! My chocolate mint milk tea kept me going for 30mins, drinking non-stop! Refreshing and chocolatey at the same time! You can even choose to dine-in, they have tables ready for you. Their pearl is awesome! You can choose from Mini Pearls or Normal Pearls! I personally prefer Normal Pearls! They are located at a very obvious area in Level 1 ! Venice on Pasta Mania and Best Fries Forever! Jessica on Javier's and Graffiti Cafe! That's all for today and byee-bee. Oh my gosh you look so good! The wig is awesome...looks so natural... I love this look!